While hard and efficient training remains the basis in building the muscle mass, you won’t get far without proper dieting. The food you consume can create the difference between perfection and mediocrity. Protein is the building block of your muscles. Providing your body with quality protein is key to building muscles. Although plant protein can provide you with some of this material, if you want to grow you need to eat meat. There is little need to stress out the importance of water. Keeping your body hydrated is always a good idea, and when you work out you constantly need to replenish your fluids so that your body can function optimally. And nothing does this trick better than water. When you train you deplete your body of muscle glycogen. Consuming simple sugars found in milk, fruits or shakes after workout is the fastest way to replenish it, making your muscle grow fast. The recommended daily allowance of protein for building muscle mass is 1.5 grams per each pound of body weight. In other words, if you weigh 180 pounds, you should consume at least 270 grams of protein. Not all fats are bad for your body, some of them are essential for your testosterone production. 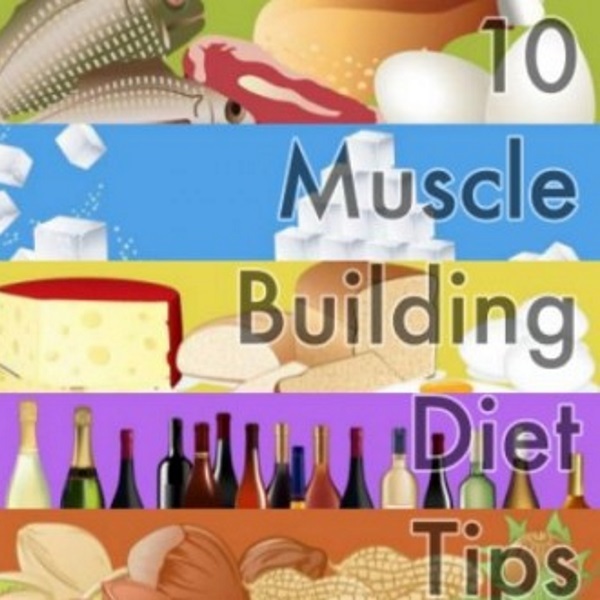 Including fish, tree nuts, olive oil and other food sources packed with healthy fats will prompt your muscle growth. Fibre is beneficial for your digestive system and it helps you absorb the nutrients from the other foods you consume. Cauliflower, broccoli, cabbage, lettuce and other greens are all fantastic sources of healthy fibre. Alcohol has negative effect on your ability to build muscle mass. Not only that, but it also increases your body fat storage. So if you want to build your muscles, you should cut it out completely. Make sure that you always have quality cooked food in your store. This will prevent you from turning to snacks in moments of temptation. The best way is to prepare your food for at least three days. Nuts are fantastic source of both protein and healthy fats. Take a handful of raw almonds or pistachios when you get cravings. Although fruits are good source of vitamins and other beneficial nutrients, they also pack sugars, which can damage your calorie intake. Eating vegetables instead will provide your body with the required nutrients without the risk of consuming too much sugar.